Product Details-Ingredients-Corn, poultry meal, rice, soybean meal, chicken oil, full fat soybean, brewer dried yeast, liver digest, lecithin, fish oil, iodized salt, vitamins and minerals, antioxidants and food colouring. 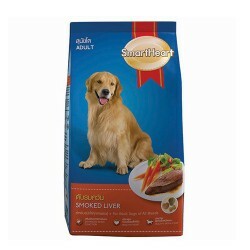 Flavor-Smoked liver flavour, Suitable-All Breeds of Dogs,Quantity-20 Kg. 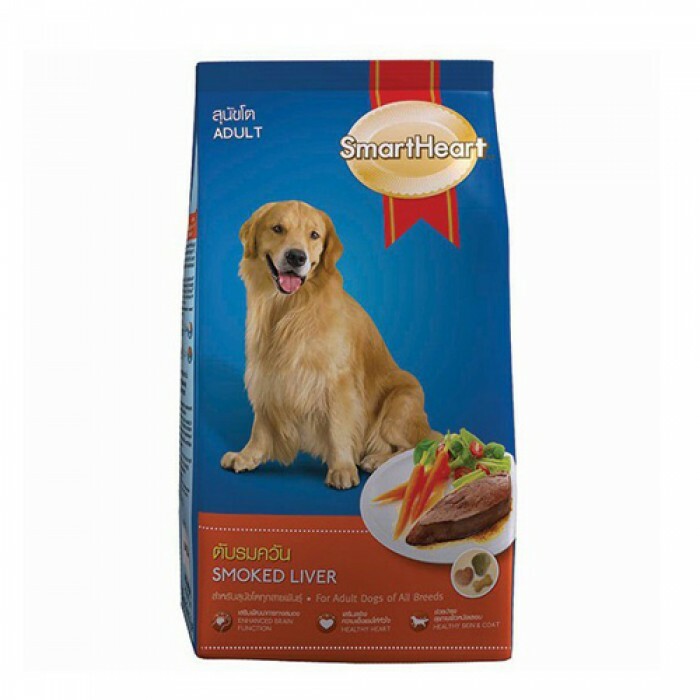 Product Information-Smart Heart presents a complete diet to meet all health needs of your adult pet dog. Made with precisely balanced elements, the dog food strengthens the body, offers protection to vital organs and enhances the immunity to fight foreign organisms. Bones and teeth are strengthened with the addition of the appropriate ratio of calcium and phosphorus. Health of heart is supported with omega-3 fatty acids while the functioning of brain and nervous system gets a boost with DHA and choline. The easy-to-digest food would also help the skin and coat to maintain its health and beauty. SmartHeart Adult Dog Dry Food is tailored-made formulations of dog food which embraces the daily needs of adult dogs in a variety of flavours.